Saving money does not always have to involve a bank account. You can stow away some dough through little ways you can do without necessarily making an all-out effort. 1) Get a piggy bank. This may sound childish, but in fact, it is not. 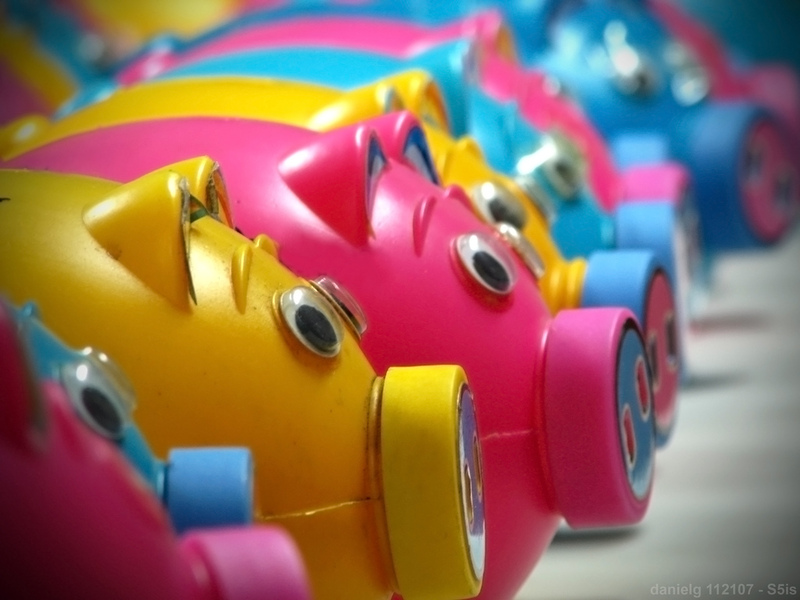 The piggy bank is actually a good device to use for saving. One good way is to have a number of coin banks at hand. Then you label each one for a certain item you want to have. In this way, not only will you get what you want but also keep away from any untimely purchases. 2) Use cash cards. Yes, these are usually neglected over credit cards, but these work better. Not only do you purchase freely without interest, you also get something in return. This could be in the form of points for every purchase, or better yet discounts on your next purchase. Now who wouldn’t want that? 3) Clip coupons. No, not the obsessive coupon clipping you see on reality shows. You can find these in some magazines and newspapers which typically indicate discounts on a certain item for a period of time. Cut only the ones you are sure to use.Since other cutouts will likely end up as clutter if not yet used. Be sure to take note of the dates on the coupons too. 4) Save energy. I know we have all heard this a thousand times, but only a few realize why. By saving energy, we not only help Mother Earth but our pockets as well. For example, using a cup when brushing your teeth or ironing your clothes all at the same time. These are little ways on how you can conserve energy with almost no effort at all. 5) Cook meals. Yes, cook your own meals. While eating out may save your energy, it will definitely cost you more money. Preparing your own meals might be unpractical, especially when you are continually pressed for time. However it may be the less expensive and healthier as well. Cooking doesn’t have to be tiresome either. Eat a salad or grill meat; these are inexpensive ways to fill your stomach but not empty your pocket too. 6) Shop wisely. Do you know the expensive brands are placed at eye-level shelves in most groceries? Why not shift your sight lower and spot the same item at a lesser price, and maybe the same quality. Cheaper price doesn’t always mean cheaper quality either. 7) Make a monthly budget. I know you’ve probably seen this tip a million times and it may even sound cliché but it really works. Rather than make a weekly budget, make a monthly plan. This tends to be more flexible to unexpected events, like sickness or emergencies, and more. Always remember that saving money is not difficult. Little ways when done daily and paired with discipline and prudence, will surely give you a more comfortable and happy life. Victoria Anderson is a finance writer for Guarantor Loans Direct. She loves covering business topics and finance related stuff. She is fond of web development and wed design. You can find Victoria Anderson on Google +. When you raise your friends a few loan deal to require, several of them recommend you concerning No Guarantors Loans. These loans are quite celebrated recently and everybody will fancy it'd any hesitation. So, if you would like to return out of your tough part, you wish to travel with this deal, that is de facto about to rock your life. It ne'er asks you to require any facilitate of your friends or social group and kin so as to require cash because it does not demand such formalities 12 Month Loans. Using this deal is de facto a useful call as a result of it offers you cash once you are running wanting finance and there's none to require responsibility of your cash. folks will access for immediate finance whenever they have it. Payday Loans No Guarantor In fact, cash is dropped at folks by direct money deposition method and it takes of you whenever you're unpredictable and you wish a support. beneath this deal, you'll take away money starting from one hundred pound to 1500 pounds for one month click here for more information http://www.12monthloansnoguarantors.co.uk.